Do you have a special talent or skill you would like to share with one of our programs? Let us know! We’ll try to create an opportunity for you to share that with our clients. We have volunteers who share their expertise in budgeting, cooking, self-defense, parenting, and other basic life skills, as well as fun activities like dance, crafts, etc. There are also opportunities to serve on our Board of Directors and/or one of our three advisory committees. 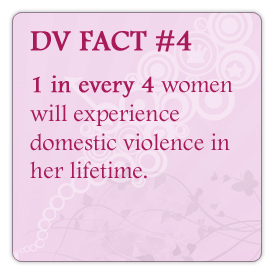 These committees are the Domestic Violence Awareness Committee, the Housing Advisory Committee, and the Children’s Advisory Committee. The State of Illinois mandates that anyone working directly with victims and their children must complete a 40-hour training program. 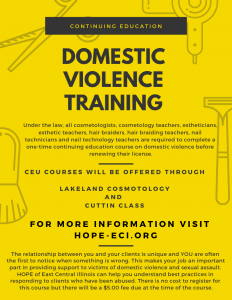 If interested in learning more about this training, or any other volunteer opportunity, please feel free to call our office at 217-348-8815.